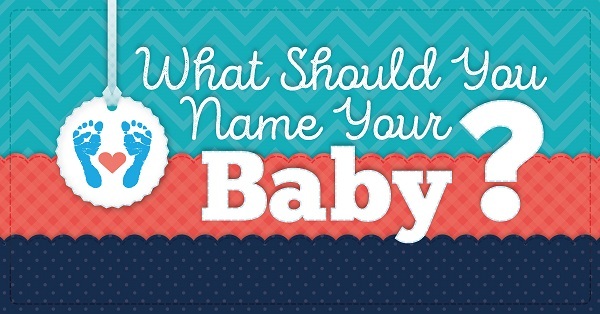 What should you name your baby? To some, this may seem like a silly question to ask people. I cannot tell you how many times I’ve seen women ask groups of strangers for baby name suggestions. When I was pregnant with my son, I remember how difficult it was trying to decide what name I wanted for our son. Then take into account that there is a husband who has some say on the matter. Usually. And hopefully you can both agree on the name. It’s a huge responsibility, really. Some of the baby names I hear lately make me feel a bit sorry for the child. They have to live their lives, going to school for 12+ years with that name, you know? Don’t make your child a target by giving them a ridiculous name. In all seriousness though, it really isn’t always easy to come up with baby names. As someone who loves quizzes (I’m a sucker for them), I can see how a baby quiz would be quite useful in aiding new parents in coming up with the perfect baby name. I searched for popular boy names when I was pregnant. I still like seeing what the popular girl names or gender neutral names are each year when they come out. I know my name was popular in the mid 60’s and hasn’t been since. Who knows, it may become popular again… what goes around, comes around. I thought if my son had been a girl I would have named her Isabella Rose, so Emily is in the same category as a very traditional name. Emily Rose does have a nice ring to it. Even though I didn’t go with a complete traditional name with my son (his middle name is traditional, though), I know I would have went more traditional for a girl. 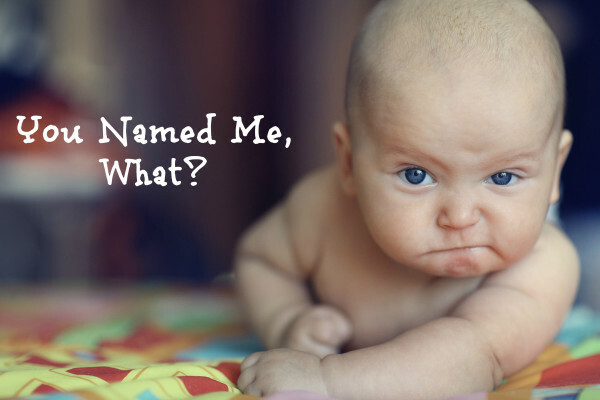 Take the What Should You Name Your Baby quiz and let me know what name you should name your baby… even if you’re like me and done with having babies. Take it just for the fun of it! I knew what I wanted to name my kids long before I had them. No one was gonna change my mind LOL! I love traditional names – both of my girls have traditional names, in fact, one of my daughters name is Emily!!! I got John. I guess I’m just a classically traditional kind of girl. I remember having such a hard time picking out a name for our son! This would’ve been a fun way to get ideas. I wonder where they pull all the names from and exactly how many answers there are! Most of my friends end up getting 1 of 3 answers. I got Atticus! I know a boy named Atticus, but never considered it for my own sons. I chose to name my daughters unique names (Makenna and Maddox) but went with something traditional for my son (James). I took the quiz and got John, which is my brother in law’s name, but still traditional enough to fit my boy naming style. I did the quiz for a girl and got Hermione. I can honestly so that would never be on my list. This was fun though! Looks like Caden is the name I should choose. This is a cute quiz. No more kids for me though! This is great. My best friend just had a baby and named him LAW. At first I didn’t like it, now I do. I took the test and if I had a girl I should name her Emily. ha! I completely agree with you about the responsibility of naming a child. It was a very difficult process I thought. Love the quiz! This is a fun post and I will share it with my sister-in-law, although she already has had four boys and don’t THINK she is planning on having another! We knew pretty quickly what to name our girls, but my son was tricky. We actually changed our minds after he as born! I got Jackson, which I have always liked, so I am happy with that one! We went a little non-traditional with our names that could be pronounced in English and Spanish. I think their names fit their personalities too. We knew right away we wanted to name Dawn – Dawn. Also I knew Jason was my boy name. Both of my kiddos, unfortunatly, have very popular names! I was ahead of the curve with both of them, but their names are everywhere now. What a cute and fun way to name a baby! What a fun and helpful quiz! I’ll be sure to keep John in mind for our next baby, since that’s the name I got! I like classically traditional names!